Jim Hechtman is CFO for BIOLIFE4D, leveraging significant business and financial acumen serving as Managing Partner for The Hechtman Group Ltd. Under Jim’s leadership since 1993, The Hechtman Group Ltd. has become a successful growth-oriented firm specializing in CPA services and business guidance for small businesses. Jim focuses on key development priorities for the firm including strategic planning, long-term trusted-advisor client and business partner relationships, and effective staff development to steadily increase skill and talent within an entrepreneurial culture. 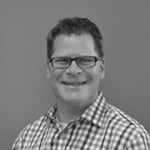 Jim is a hands-on executive skilled in developing comprehensive growth plans and financial guidance. He provides consulting services that speed progress for start-ups as well as providing on-going support for effective operations and planning. He will bring his extensive experience in corporate taxation to bear on BIOLIFE4D’s behalf. Prior to The Hechtman Group Ltd, Jim served in the tax department of a national public accounting firm for several years. Jim graduated from the University of Michigan in 1991. His professional associations include the American Institute of Certified Public Accountants (AICPA), the Illinois CPA Society, The International Council of Shopping Centers, the Home Builders Association of Greater Chicago, the Lincoln Park Builder Association and the Northbrook Chamber of Commerce.